The ads are built in interactive game formats, making it very difficult for the viewers to stop and skip! If you think, the viewer is remotely interested in the advertisement and not counting 5, 4, 3, 2, and 1! in their mind to hit the Skip button as hard as they can – you my friend, are sadly mistaken. If there is an option to skip, they will indeed skip. Unless, what you show them in those 5 seconds try holds their attention. To think of it, possibly this is where the idea of 6 seconder Vines and 1 second Boomerang was born. Snickers has managed to understand the deep-rooted consumer behaviour of blocking any and all forms of advertising, took to the challenge by creating a gaming experience in their latest YouTube Pre-Roll ad. 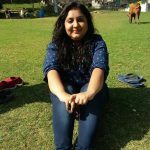 Conceptualised by Impact BBDO in Dubai, the spot runs on Snicker’s core message – you’re not yourself, when you’re hungry. 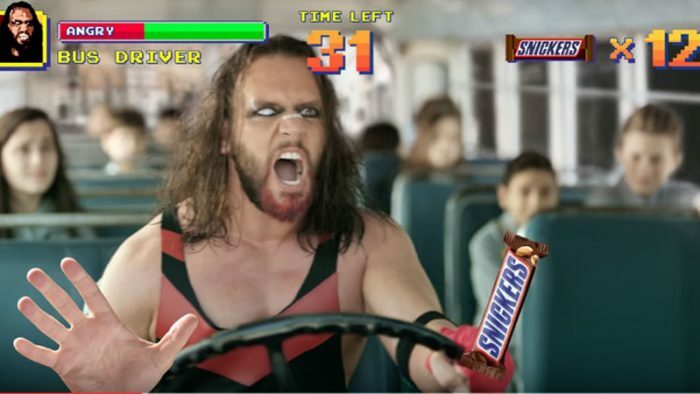 The ad this, is a video-game, where users are given the chance to convert a hangry school bus driver, acting like a crazy, hot blooded WWE fighter, back to his sweet and safe ways by feeding him Snickers. Users have to click on 15 Snicker bars in a span of 45 seconds. The campaign makes the most out of YouTube features, by occupying the entire frame with scores, anger level of the driver, time left, and so on. The thrill of pausing the video on the right time to give the driver the chocolate bar, is what makes it truly engaging. On similar lines, the second spot is a hunger-stricken tennis player, behaving like a spoilt Rockstar. The driver video garnered over 22k views so far, while the Rockstar video stands at over 17k views. So now you know, if you have YouTube Pre Roll Ad, either wrap it up in five seconds or make it something so different that skipping isn’t an option.